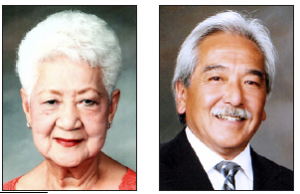 Little Tokyo Senior Nutrition Services (Koreisha Chushoku Kai) will hold its annual Honor Banquet on Wednesday, Sept. 26, at Union Church, 401 E. Third St. (at San Pedro Street) in Little Tokyo.Aiko Kawaratani and Brian Kito Reception from 5:30 to 6:30 p.m. Dinner and program at 7 p.m. This yearâ€™s honorees: â€¢Â Brian KitoÂ and his family have owned the Fugetsu-do Confectionary since 1903. His grandfather, Seiichi, began Fugetsu-do Confectionary in Little Tokyo and the iconic store has been in the family ever since.